Home » Services » Reiki Healing » Is REIKI Shamanism, Mediumship, Or Neither? There are uncountable versions of Reiki now practiced throughout the world. They have in common the centralization of energy and conveyance of energy to the receiver in need. Anyone who is a witness to the simple power of hand-healing of Reiki, witnesses as well its unifying and serving aspects. For example, the All-Love outgrowth of Reiki completely reimagines the laying-on-of-hands and gets to the heart of the matter in a unique way, exemplifying the unifying and serving quality. All-Love came to Patrick Ziegler as an evolution of his earlier Reiki training system, Sechem or SKHM Reiki. Sechem had its genesis as a form focused on ancient Egyptian knowledge blended with Sufism. This is the form of Reiki I was initiated into at first (attuned to). 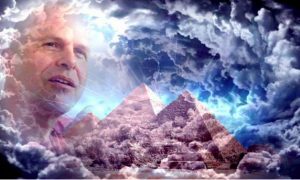 My first Reiki teacher followed Patrick into the development of All-Love, and I also participated. All-Love matches the Sufi ideal of the reality of God being experienced as overarching love permeating and healing humanity. From studying the essence upon which All Love is built—unity and service—the reason for inquiry around whether Reiki shamanism or mediumship exists will become clear. All-Love really refers to Al-Lah, which in Arabic means The One God. Rather than confuse the healing energy with the Muslim religion, the term All-Love evolved as the best way to describe the energy and technique. All Love represents a modern form with features reminiscent of Gestalt. People are encouraged to seek the feeling of energy within themselves and to fully express whatever that is for them—tears, laughter, joy, sadness or pain. An All-Love session looks like a room full of people emoting on various levels with varying intensity, and the practitioners going around the room encouraging people to release and keep feeling what is in their hearts. The tone and atmosphere is somewhat like traditional cultural meetings where spirits are encouraged to enter into participants or in other ways make themselves known. 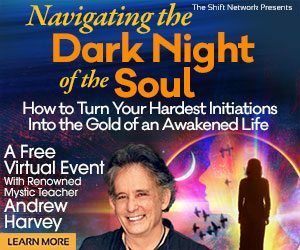 The technique practitioners learn is centered around how best to encourage and support people going through their depths and highs. In this way, an All-Love session goes beyond the quiet of one-on-one Reiki and enters the realm of shamanism. The difference is one person, the traditional healer or shaman, is not conducting or performing a ritual for passive or even participant onlookers. The Reiki All-Love group is unifying and people serve one another to experience their breakthroughs. A shaman, on the other hand, is usually more intentional about interacting with the unseen. She or he may use music, implements, stones, trance, and other means to help a client. There may be family present or not. A Reiki counselor may also use implements such as crystals, stones and music. These are less important than connecting with the divine and using the connection as a means for passing the energy along to the client. It is usually a one-on-one process or there may be two workers for one person, especially when there’s a medical issue that must be addressed. 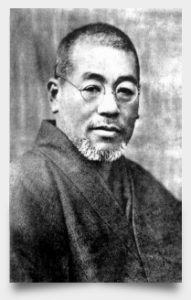 In traditional Japanese Reiki, Dr. Mikao Usui taught those in his closed circle how to treat clients with severe health issues. Several people would work on one person if necessary. 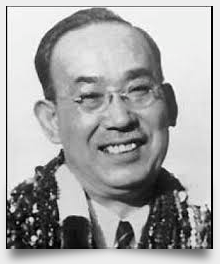 Dr. Usui taught students the chakras as points of reference for strengthening the inner core of a client. His concept was to unite the chakras with Reiki, then infuse the person’s entire being with that natural, universal energy. When Mrs. Hawayo Takata was visiting Japan for her father’s funeral, she had severe pains that doctor’s said required surgery. At the last minute, she refused to undergo surgery and implored her doctor’s to suggest another method. A nurse advised her to get an appointment with Dr. Hayashi. She had several Reiki sessions over two months and her illness completely disappeared. Enthralled by Reiki, Mrs. Takata insisted on learning it to the master level. She returned to Hawaii and began doing Reiki on family and friends. 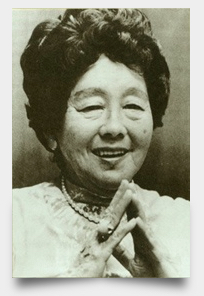 She taught Reiki on the West Coast for almost 50 years, and it spread around the world from there. 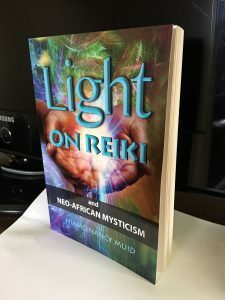 Although there are prayers, symbols and positions associated with Reiki, the methods are far less ritualized than one would expect for a shaman. Asking the venerated founders of Reiki for guidance and support may be compared to ancestor or spirit contact in shamanism. Most Reiki books advise appealing to Reiki founders Dr. Usui, Dr. Hayashi or Mrs. Takata. They say it makes the Reiki flow stronger and helps facilitate healing. Not all Reiki Master Teachers promote this, and both of my Reiki Master Teachers instead focused on my strengthening my relationship to God as I understood God. One could say the similarity between shamans and Reiki practitioners is their way of interacting with unseen others. Shamans can be audacious in their appeals for help from spirits and guides. Meanwhile Christians Reiki counselors do work in Jesus’ name, and Muslim ones heal in the name of Allah. All healing comes from Oneness or whatever the divine concept is called. Time presents a second difference. A traditional shaman may take days to fast, go into the elements, retreat into a cave, perform special rituals, adopt someone’s sickness themselves and in other ways take the healing work beyond an hour-long Reiki session or series of sessions. A third difference is any form of Reiki shamanism would require work that influences the behavior or attitude of a third party. Pure Reiki never does this and never would. Instead, the sole aim is to channel or pass along or “presence” energy and witness what the receiver is feeling within his/her body. None of this discounts the power of the unseen realm, or that it is inhabited being invisible beings. In fact, focussed healing energy makes one more aware of the nonphysical realm. Extra sensory perception is heightened, and one becomes clairaudient and clairvoyant. Sensing phenomena somewhat like a medium, a Reiki therapist may now be aware of seeing people, places, life events, numbers and colors, and hearing names and terms that have meaning for the receiver. The practitioner is not a medium, because contact with or getting messages from those who have passed on is not the purpose of a Reiki session. Its purpose is to directly address the pain, anxiety or overwhelm the person may be feeling. It is an honor to serve people who have been stopped by life, and who need just a few doors opened for them to walk through. Reiki, as agape love rendered by touch or near-touch, “presences” the highest vibrational frequency. Rei subdues and realigns discordant energies and in so doing empowers a stronger flow of ki/chi/qi. With its gentle jolt, roll or wave, its tingling warmth or cool chill, or its blanketing embrace, Reiki is subtle and powerful. It is probably less passionate than the hands-on work of the shaman. But no less compassionate. If there would be a Reiki shamanism, it would be like a baptism in the energy netherworld. This is not like holding hands when you visit a medium, even though such holding hands may occur during Reiki.